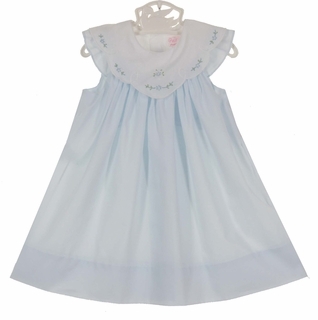 Made by Petit Ami, a leading designer of classic children's clothing for more than 40 years, this lovely pale blue bishop style dress features a white scalloped portrait collar delicately embroidered with blue flowers. 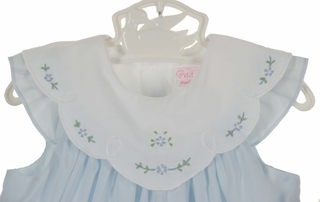 The dress has angel sleeves and closes in the back with three small buttons. 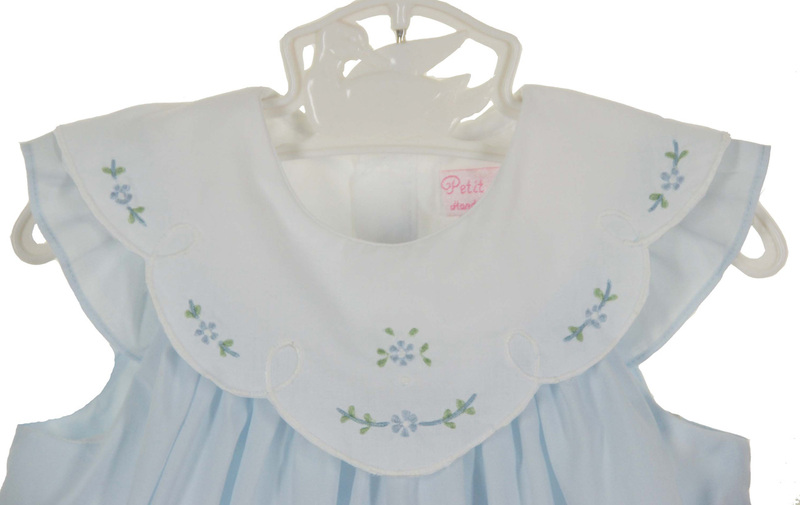 This sweet little dress comes with a matching pale blue diaper cover. Perfect as a portrait dress or Easter dress for your baby girl!